In the previous editions, Dhaka lost only one out of their four finals. Dhaka Dynamites started this edition’s Bangladesh Premier League (BPL) with four thumping victories. Now, the team, captained by Shakib Al Hasan, has to end in the same way in order to be crowned as the champions. 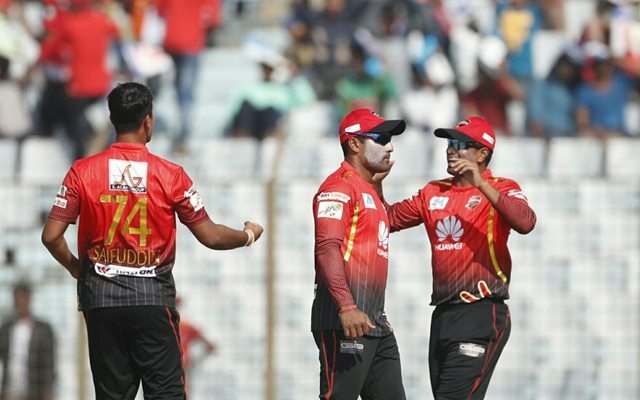 After decimating Rajshahi Kings, Chittagong Vikings and Rangpur Riders, the Dynamites’ final hurdle will be Comilla Victorians against whom they lost on both instances in the round-robin stage. The atmosphere at the Sher-E-Bangla National Stadium in Dhaka is expected to be no less than electric and a cracking contest can be expected. The Dynamites are the three-time champions and have the experience of playing in such scenarios. The Victorians, led by the left-handed Imrul Kayes after Steve Smith left, turned over the Riders in the Qualifier 1 and would be aiming for their second BPL championship. It goes without saying that batting second would be the safer option as all the matches in the playoffs were won by the team, batting second. The pitch is expected to be good for batting. The captains are most likely to choose fielding after winning the toss. Tamim Iqbal and Evin Lewis are the openers with wicketkeeper Anamul Haque at number three. Shamsur Rahman will come at four followed by skipper Kayes. The onus would be on Shahid Afridi and Thisara Perera to deliver with both bat and ball. The spin duo of Mahedi Hasan and Sanjit Saha need to replicate their performance. Mohammad Saifuddin and Wahab Riaz are the specialist fast bowlers. 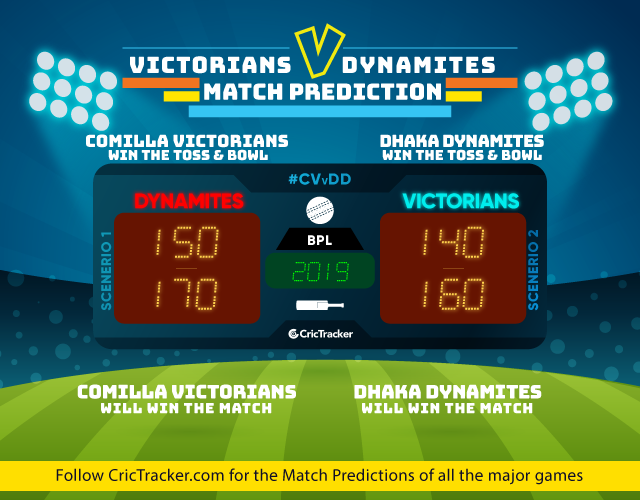 The prediction is for the team batting second to win the last match of this edition’s BPL.